JEE 2018 Counseling Registration procedure is starting from coming 15th June, 2018.Joint Entrance Examination also known as “JEE” is a National Level Examination which is regulated by Central Board of Secondary Examination (CBSE). This Exam is organized to get admissions into several Engineering Colleges like IIT’s and NIT’s and other private Engineering Colleges and for Architecture courses. The JEE Counseling Procedure is regulated by JoSAA (Joint Seat Allocation Authority). Candidates who will clear the JEE Main and Advanced 2018 Exam will be eligible to take part in the JEE Counseling 2018 for seat allocation process in all the participating Colleges. JoSAA (Joint Seat Allocation Authority) will be the responsible authority to organize the JEE Counseling 2018 process for all the 97 participating Institutions like IITs, ISM, NITs, IIITs, NSITs and other Centrally Funded Institutions of India (CFTI).There will be a total of 7 rounds in the JEE 2018 Counseling Procedure. Last date for candidate’s registration. JEE 2018 Counseling Procedure will be conducted in total 7 Rounds by the JoSAA (Joint Seat Allocation Authority) for allocation of seats for different academic courses offered by different number of Institutions that comes under JoSAA 2018. Enter “JEE Main 2018 Roll No.” & “Password”. Click on “I Agree” button. Now you will get the JoSAA Registration form. Now, Click on the “Submit” button. Read the filled information carefully. Click on the “Confirm Registration”. Now, Candidates have to select “Choice Available” option. Select Institute Type, Institute Name & Academic Program. After this, Click below on “Choice Filling & Locking” option. Choose Colleges & Courses. Fill maximum possible choices for allotment. Arrange the choices in the decreasing order. If you want to change the filled choice, then click on “Choice Interchange”. After That, Click on “Choice Rearrange”. Now arrange your choices accordingly. If you want to delete your previous choices, click on “Multiple Deletion” option. Lock your choices by click on “Lock Choice” Option. Choice Locking will be made available after all counseling rounds. Once filling up the choices done, Seat allocation process will get started on the basis of several reservation norms, Choices filled by Students and amount of vacancies. Aspirants will get an E-mail and SMS on their registered mobile number regarding the Seat Allotment. After that, you can download the Seat Allotment Letter. Once you are satisfied with the Seat Allotment, Payment of Fees will be done. Aspirants have to deposit fee via SBI Net Banking or e-challan. Verification of all the documents for provisional seat acceptance. Provisional Admission letter will be provided to Candidates on successful completion of Seat acceptance. After the Fee Acceptance, Candidates have to report to the allocated Institution. Carry your Original Documents and Certificates. # Freeze - If students accepted the Allocated Seat and don’t want to participate in the other counseling rounds. # Float - If students accepted the Allocated Seat but want to participate in other counseling rounds also. # Slide - If students accepted the Allocated Seat but they want the better stream at the same institution. They are also eligible for other counseling rounds. Passport Size Photographs (Uploaded During Registration). Fee slip of Seat Acceptance. Photo Identity Card (Any One). JEE Main and Advanced 2018 Counseling Admit Card. 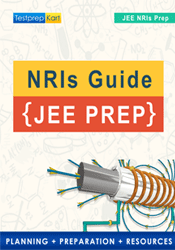 JEE Main and Advanced 2018 Score Card Copy. OCI certificate of PIO Card. An IIT-Madras alumnus with CS as a specialization, An avid education blogger and counselor for students who wants to pursue JEE.